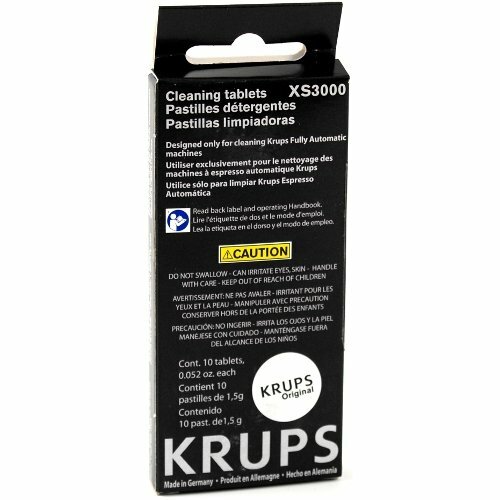 These Krups espresso machine cleaning tablets are designed to be used during the cleaning cycle of the Krups Fully Automatic espresso machines. Use the cleaning tablets on a regular basis to ensure increased longevity for your espresso machine as well as delicious coffee. The tablets work with Krup model numbers XP7225, XP7230, XP7245, and XP7260. This set includes six packs of 10 tablets each for a total of 60 cleaning tablets to keep your machines extra clean.